*Hunter Douglas Authorized Dealer* Village Paint & Design has been in business for more than 40 years and our staff has extensive experience in the industry. While we provide guidance to professional painters, we also love to help do-it-yourselfers. Our paint and design consultants offer personalized service—we listen to you and learn about your style, as well as any issues you are having with your current paints and stains. Then we supply you with the products and tools that will provide the results you desire. We are big enough to handle any size job, but small enough to be involved in the full sales process with you, start to finish. Our team of experts will guide you to the right product to suit your needs! 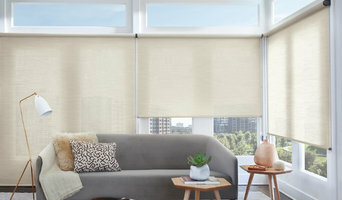 Village Paint & Design offers a large selection of custom Hunter Douglas window treatments, including sheers and shadings, honeycomb shades, shutters, horizontal blinds, vertical blinds, Roman shades, roller shades, and woven wood shades. We are locally owned and operated with 3 locations, yet each store—Glendale, Wauwatosa, and Milwaukee—has a unique personality and style. Since we are local, we also take our commitment to the community very seriously. We enjoy giving back and know that it makes a difference to customers, friends, and neighbors. We want you to come back to our store time and time again, because it matters to us. 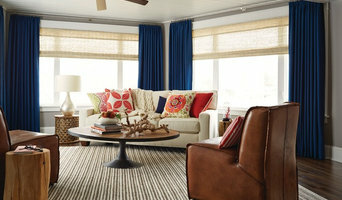 Village Paint & Design—consider us your “go-to” neighbor for all your home decorating and Benjamin Moore paint needs! Heart to Hearth Window Treatments & Design is the Sheboygan, WI area’s premier source for elegant custom window coverings at an affordable price. With over 23 years of combined decorating and window treatment experience, we are here to help you develop a design and color scheme that fits your home and style. 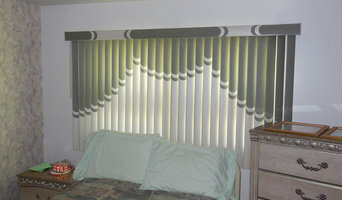 We are owner-operated, and we know window treatments better because that’s all we do. It’s all done one-on-one, and we personally handle the entire process from consultation to installation. 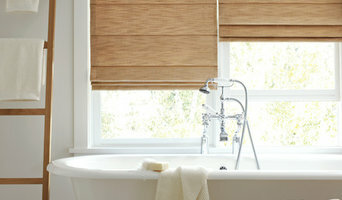 We offer everything you need to give your windows the look you desire. 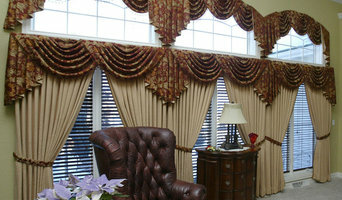 From valances to draperies, we've got it all! WeatherPro Exteriors is one of the largest exterior home improvement companies in south eastern Wisconsin. WeatherPro Exteriors was established right here in Milwaukee specializing in roofing, windows, siding, soffit, fascia, doors, attic insulation, gutters & gutter protection. WeatherPro Exteriors Showroom and Design Center is located at 1815 S. 108th St. West Allis, WI 53214. Our Madison office is at 6320 Monona Dr. Ste 204A Monona, WI 53716. WeatherPro Exteriors prides itself on quality installations of roofing, replacement windows, siding, gutters, gutter protection, blown-in attic insulation, roofing ventilation, entry and storm doors, sliding patio doors, soffit and fascia. WeatherPro Exteriors is a member of The Better Business Bureau, NARI and the MBA. WeatherPro Exteriors is licensed, bonded and insured to take on your roofing, windows, siding and doors projects. The high quality products WeatherPro Exteriors carries will increase the energy efficiency and value of your home.